Tickets will be available at the door only: Suggested donation of $20, payable with cash or check (made out to Tom Zajac); we cannot accept credit cards for this concert. 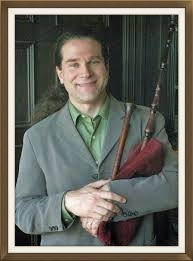 Many of you know Tom Zajac (recorder, percussion, bagpipe, sackbut) from his frequent performances with Texas Early Music Project and from his teaching and performing at the Texas Toot. Help us help someone who has long been a friend of Early Music in Texas while he recovers from medical procedures: He is making good progress, but we can help the process go much more speedily and maybe even more enjoyably! Members of La Follia Austin Baroque, the Saint Cecilia Music Series of First Presbyterian Church, the Texas Toot, and Texas Early Music Project team up to present an invigorating concert of music for a Spring afternoon to benefit Tom. The sooner he is well, the sooner he'll be back on the concert stage in Austin. There will be no pop-up food trailers, but we'll be dishin' out scrumptious tunes to sate your early music appetite! Download the Flier and help spread the word! See www.early-music.org or call (512) 377-6961 for more info.